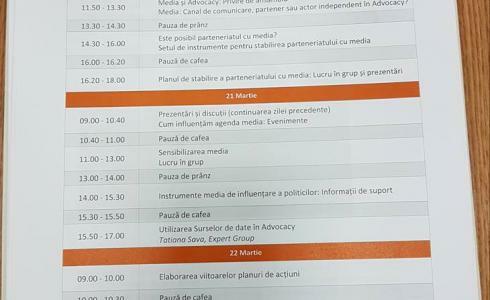 During March 20-22, 2017, Hope and Health Communication and Advocacy Manager participated, together with representatives of 19 CSOs from Moldova, to the training "Media Advocacy and Civic Participation" offered by FHI360 in the frame of „Moldova Partnerships for Sustainable Civil Society (MPSCS)” Program. The training was moderated by the international expert Nebojsa Radic, former head of the media relations of Open Society Institute in Budapest and New York. On March 15-16, 2017 representatives of A.O. 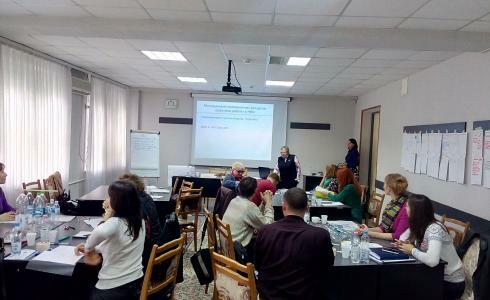 “Speranţă şi Sănătate” attended the second training “Human Resources Management: work practices in CSO” within the Capacity Building Development Program for Russian speaking NGOs on the both banks of the Dniester River, offered by Center for Training and Organisational Consulting. On the occasion of celebrating the International Women’s Day, A.O.”Speranţă şi Sănătate” organised a traditional festivity at the day care centre on March 8, 2017. Both the beneficiaries of the centre and their parents/tutors enjoyed the festive party, dancing and received the gifts. On February 17 was celebrated the Random Acts of Kindness Day. This day urges people to do good deeds without expecting something in return.On this occasion, a message about kindness soul from A.O. „Speranţă şi Sănătate” was broadcast via Russkii Mir (Russian World) on Moldova 1 Channel.